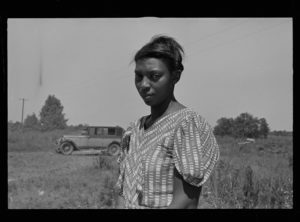 In order to build support for and justify government programs, the Historical Section set out to document America, often at her most vulnerable, and the successful administration of relief service. The Farm Security Administration—Office of War Information (FSA-OWI) produced some of the most iconic images of the Great Depression and World War II and included photographers such as Dorothea Lange, Walker Evans, and Arthur Rothstein who shaped the visual culture of the era both in its moment and in American memory. Unit photographers were sent across the country. The negatives were sent to Washington, DC. The growing collection came to be known as “The File.” With the United State’s entry into WWII, the unit moved into the Office of War Information and the collection became known as the FSA-OWI File. 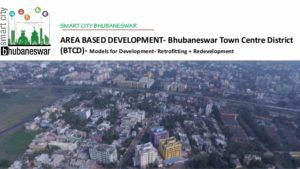 BHUBANESHWAR: The slum pockets falling under Bhubaneswar Town Centre District (BTCD), will wear a new look, according to the concept of Smart City Mission. The BTCD is spread over 985 acres and there are 26 slums in the zone. The BTCD will be a model town of the city to be developed under the mission. 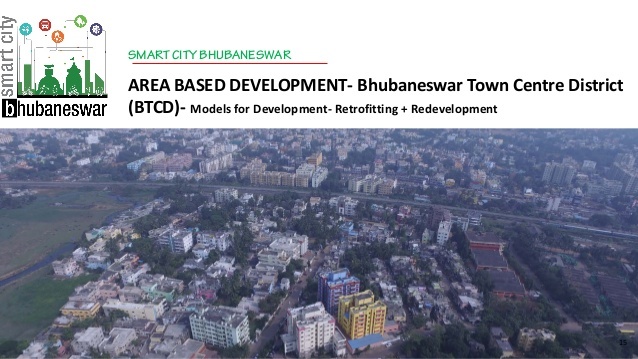 The Bhubaneswar Municipal Corporation (BMC) has started validation (enumeration) camps to identify the genuine slum dwellers so that they are provided with concrete buildings. Housing and construction systems developer Moladi says its low-cost housing system, comprising plastic formwork panels and a cement admixture, is widely embraced throughout Africa, as it has been specifically designed to meet the requirements of the African market. Moladi founder and CEO Hennie Botes says the system alleviates challenges associated with conventional building methods, including excessive costs, labour-intensive processes and the availability of materials. He notes that while the aforementioned challenges are not specific to African countries, they are exacerbated by other uniquely African obstacles. 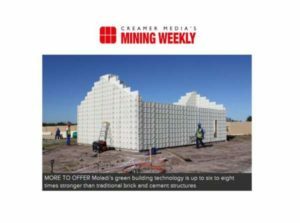 Housing and building construction systems company Moladi believes mining companies, which are currently dealing with the commodities downturn, should invest in longer-term building solutions for the purpose of on-site accommodation, as opposed to more traditional prefabricated modular buildings. Thus, the company is targeting the mining industry for the provision of long-term accommodation, says moladi founder and CEO Hennie Botes. The Port Elizabeth-based company’s buildings offer mines investment in permanent structures, which can be used for a range of applications, from accommodation to storage, that are secure, unlike temporary modular solutions. Further, the company emphasises that its focus on providing a housing solution that is a quicker and a cheaper method of producing better-quality structures that are “far more durable and require less maintenance” will benefit mines and their workers. Moladi uses mine by-products such as mine slag and crusher dust, which act as a stable level filler, as bulk building material to construct its long-term housing solution, reducing the cost of construction. He adds that the company can construct buildings that are more durable than prefabricated and traditional brick and mortar building solutions. 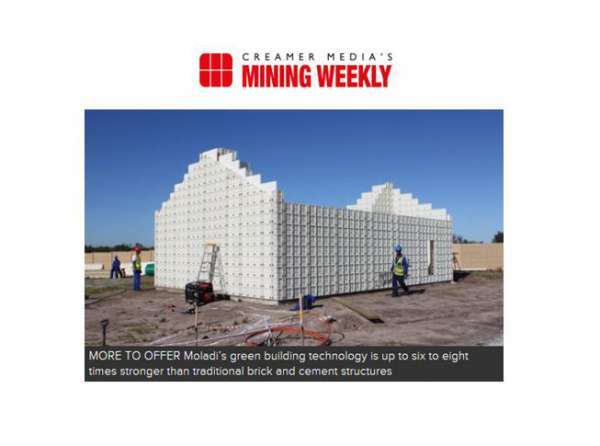 Moladi’s green building method involves the use of removable, reusable, recyclable and lightweight plastic formwork moulds that are filled with mortar consisting of sand and cement. The walls of Moladi’s buildings have a strength of 16 megapascal (MPa), compared with traditional brick walls that start at 2 MPa. “Our walls are up to six to eight times stronger than brick and cement,” adds Botes. Empower Shack from Urban-Think Tank on Vimeo. There is an ongoing pilot phase is focused on a cluster of 68 houses within the BT-Section of Khayelitsha to be completed in 2017. In advance of his new book, titled Connectography, Parag Khanna recently delivered an interesting TED Talk called, How megacities are changing the map of the world. It’s about 20 minutes long. A lot of what is covered won’t be new to this audience, but I like how he talks about the importance of urban connectivity, the shift from political to functional geography, and the idea that, in a megacity world, countries can actually be the suburbs of some cities. One thing you might notice about the talk is how he glosses over both Canada and Europe. This is a reminder to me that if Canadian cities are going to continue to compete against the emerging megacities of the world, we are going to need to think at the scale of the megalopolis. And a big part of that means a focus on extra-urban connectivity.